Tånge Sjötrollet av Anita Steiner ny bok som snart kommer ut. Han samlar skräp i havet och på stranden för att rädda djuren i havet. Transcript of the review by the Swedish Library Association, Jan. 1995 Steiner Anita. Jacob seglar till Kina. Ostindiefararen Götheborgs resa 1743-1745. 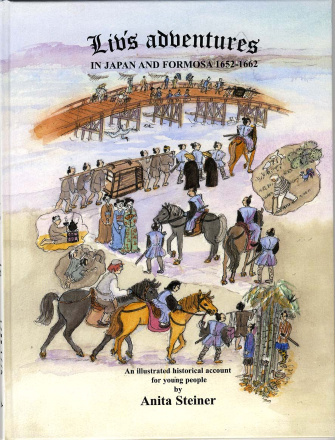 Illustrated historic account for children and young people. 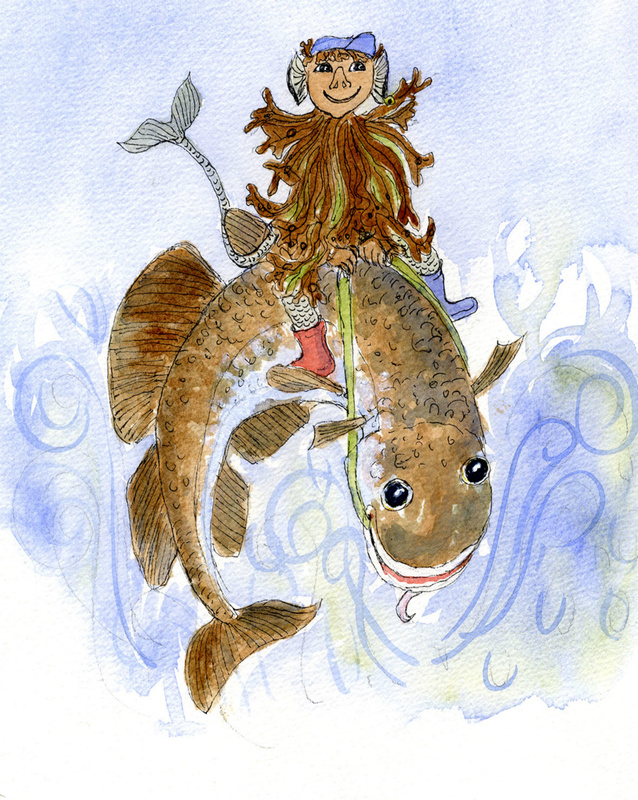 Illustrations, research and draft manuscript: Anita Steiner. Editor: Evert Lundström. 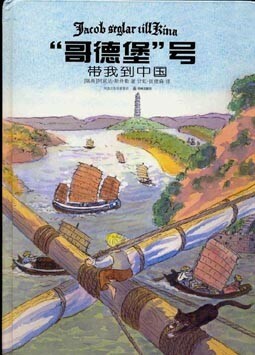 Illustrated book. 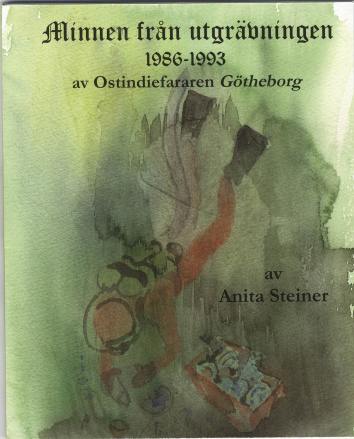 Artist Anita Steiner from Gothenburg has for seven summers participated in excavations on the East Indiaman Götheborg. With the help of logbooks from 18th-century voyages on the East Indiaman, she has produced a draft manuscript and watercolours for this account of the 1743-1745 voyage of the Götheborg. 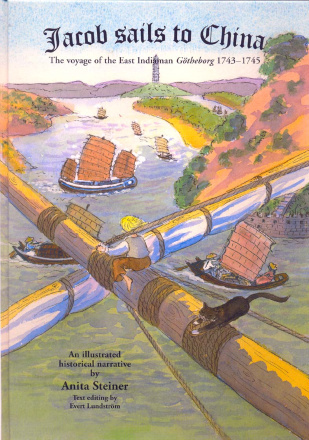 Ten-year-old Jacob is the central character, who has stowed away on the boat. 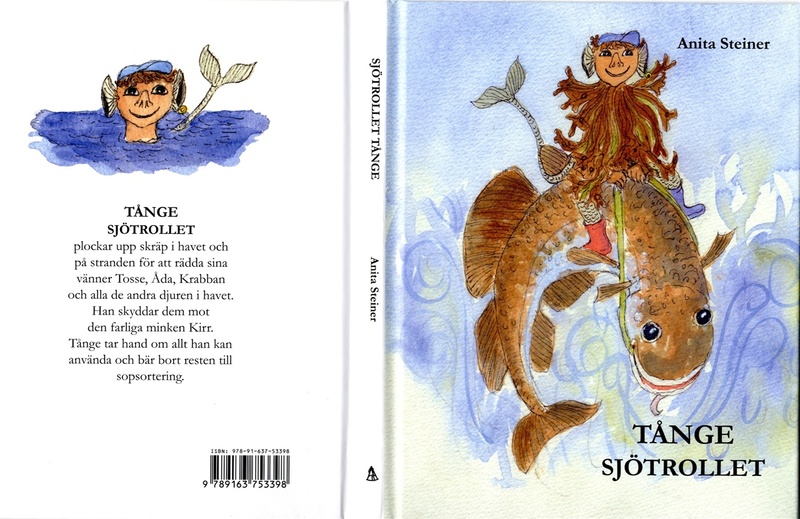 Author Evert Lundström has revised the text, to make it simple, accessible and informative. However the most striking feature is the colour illustrations, which fill up to a whole spread. Life at sea, in considerably varied weather conditions and amid sorties ashore, has been vividly portrayed, where balanced realism contrasts with a more playful and light-hearted narrative. 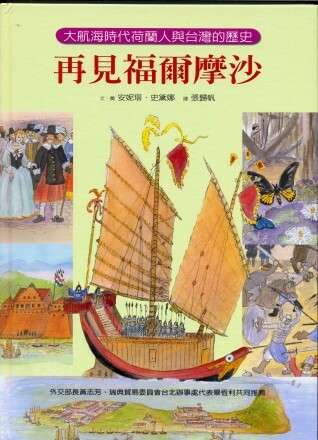 This makes the account entertaining while giving a convincing insight into seafaring life several hundred years ago. The spectrum is mild but highly expressive in its contrasts. At the end there are pages with a special richness of detail as regards objects and such, which belong in this highly specialised context. - Ingvar Engvén. – To recount a dramatic historic event in this way, with an ordinary boy, Jacob, at the centre is an excellent concept. During the two years of the East Indiaman’s voyage, the voyage - which ends in shipwreck in the ship’s home port - the cabin boy and the reader have time to experience a good deal of everyday events on board: forays ashore in Java to see the exotics plants and animals, storms, life in the port and loading goods in Canton etc. 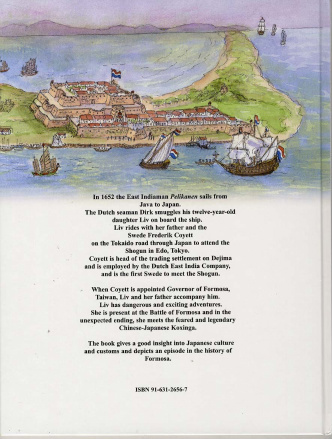 It is a good information source on trade and shipping in the 18th century. The well-executed, warmly coloured illustrations dominate, sometimes with an exciting use of perspective, and they interplay well with the double column text, in language showing close attention to detail. Some of the pages at the end show the equipment that a captain, a carpenter and a ship’s surgeon would have needed, and details about the voyage are presented: equipment, purchases etc. -Ulla B. Westelius. –10-14 years. 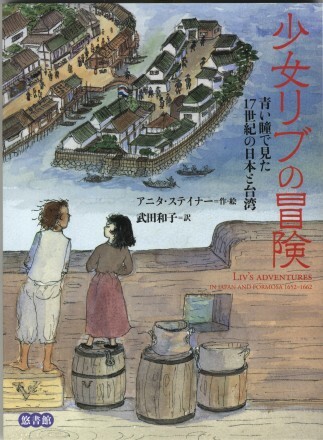 Liv rides with Frederic Coyett in Japan and meet the famoust Koxinga in Taiwan. 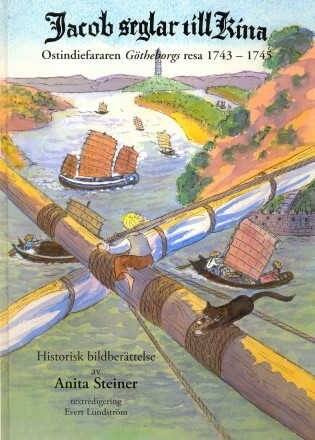 Koxingas stridsdjonk. 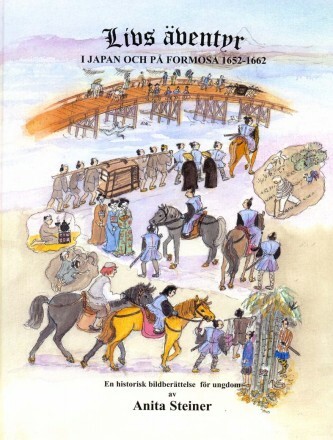 Han kom seglande för att anfalla Frederic Coyett och erövra Formosa. Under de åren dokumenterade jag fynd och människor från utgrävningen av Ostindefararen Götheborg. Jag tryckte boken på Print on Demand.